Give us a call. Customize Your Order. We craft it by hand. Give us a call! 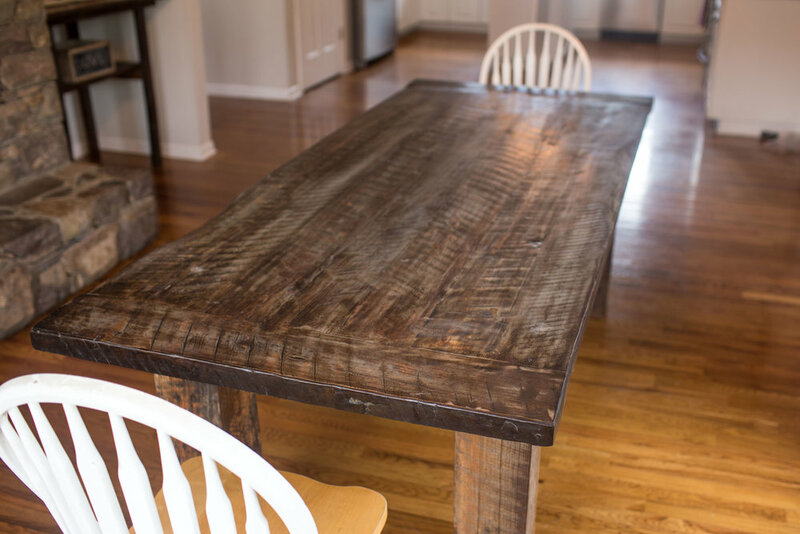 Talk to an artisan - not a salesperson - and get a feel for what reclaimed barn wood can do to elevate your home. This is not furniture you assemble out of a box. Your house is unique and we build our products to fit you. The size, shape, and finish is up to you. From your custom order we begin the process of turning beautiful old barn wood into authentic and unique pieces. We've got you covered on the install too! 100 Day Trial with free returns. Use it, abuse it, spill food on it - If you don't LOVE your Upper Barn product we'll take it back and give you a full refund. Authentic barn wood. Hand crafted. 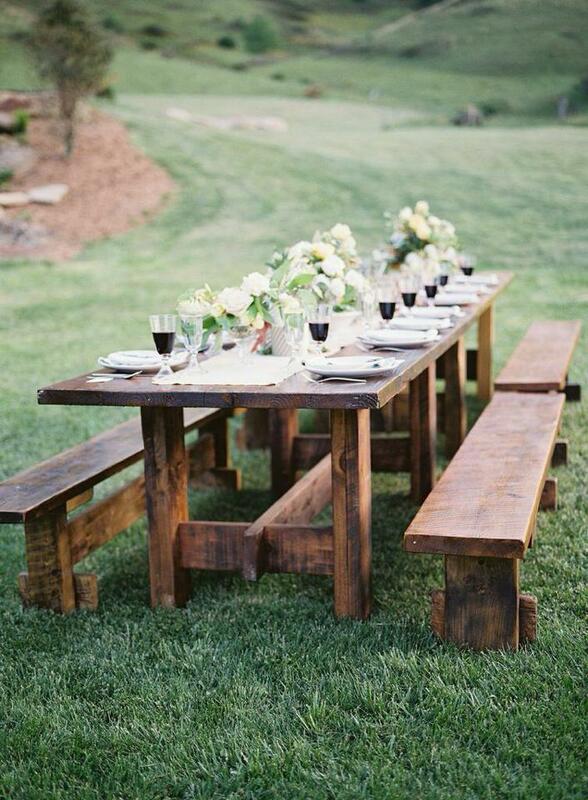 We work with local communities to source old barn wood from family farms. These barns, unfortunately, need to be taken down, but in doing so provide the beautifully textured wood for our tables. As the barns were built by hand, so are our tables. Built in the high country of North Carolina by local artisans we ensure that these tables will provide a place of gathering for generations. Each barn has a unique history and story that we want to preserve, which is why we make small numbers of tables at a time from a single barn. Each table is geo-stamped with the GPS coordinates of the original barn. We're not messing around when it comes to the most important piece of furniture in your house. 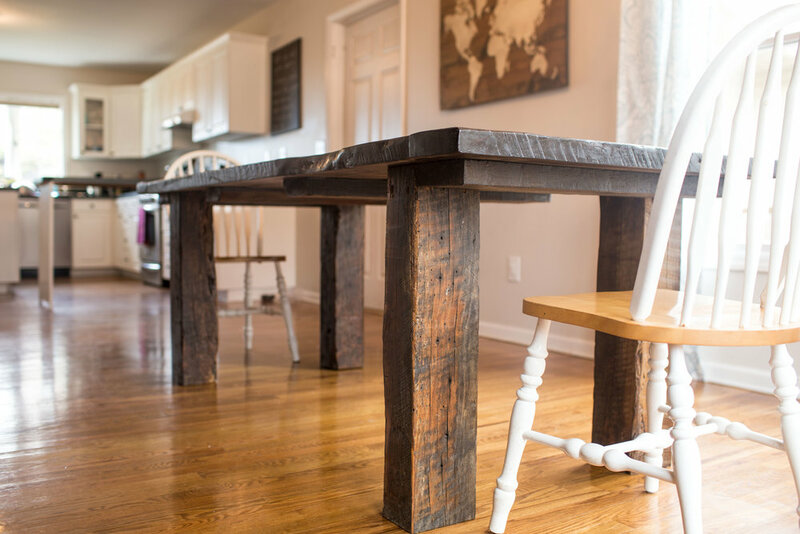 Our custom hardwood tables are handcrafted from reclaimed North Carolina barn wood, designed to be passed down for generations. Tables like this don't come with assembly instructions. Wood with this kind of character is made to be seen. 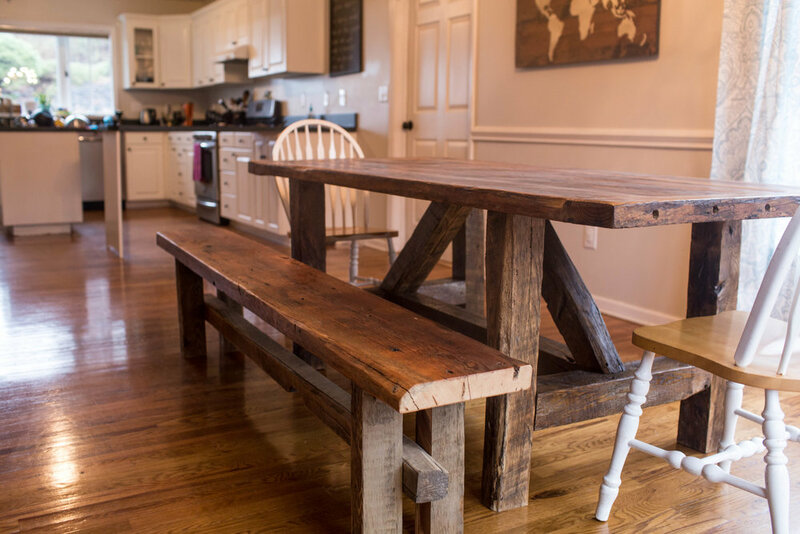 Have us create a custom trestle to the legs to make a distinct farm table look or add a hemlock bench for the kids. Whatever you do, don't you dare cover this beauty with a table cloth. Granite-like locust creates a beautiful palette for a light finish. Black locust is one of the most difficult woods to work with, but the results are unmistakable. When combined with industrial metal legs you have a statement piece your guests will fawn over. This is that rock hard black locust, but with rustic trestle and four inch wood legs. Make it a light finish to let the character of the wood pop when you set the table for the holidays. You customize it. We build it and deliver. Coming up to the High Country of North Carolina? Give us a call or send us a message. We'd love to work with you to design the perfect rustic element or piece of authentic barn wood furniture for your home.